Spearpoint, the last human city, is an atmosphere-piercing spire of vast size. Clinging to its skin are the zones, a series of semi-autonomous city-states, each of which enjoys a different---and rigidly enforced---level of technology. Following an infiltration mission that went tragically wrong, Quillon has been living incognito, working as a pathologist in the district morgue. Tom Dreyfus is a Prefect, a law enforcement officer with the Panoply. His beat is the multifaceted utopian society of the Glitter Band, that vast swirl of space habitats orbiting the planet Yellowstone, the teeming hub of a human interstellar empire spanning many worlds. His current case: investigating a murderous attack against one of the habitats that left 900 people dead, a crime that appalls even a hardened cop like Dreyfus. But then his investigation uncovers something far more serious than mass slaughter---a covert plot by an enigmatic entity who seeks nothing less than total control of the Glitter Band. Before long, the Panoply detectives are fighting against something worse than tyranny, in a struggle that will lead to more devastation and more death. And Dreyfus will discover that to save what is precious, you may have to destroy it. A great way to end a series in a sort of epilogue-ic way. As a standalone story within the universe, it's fantastic, like Chasm City. As a continuation from Absolution Gap, it serves mostly to tie up loose ends from that main plot line. And go John Lee! Voice as smooth as butter, best reader out there. The best to date in the series. A fine balance - science, fiction and character arcs. Easier on the brain than the revelation space series. still awesome. good references to the rest of the revelation universe. 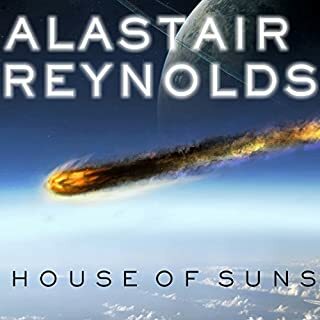 Reynolds again demonstrates why he is among the top of contemporary sci-fi writers. Readers familiar with the Revelation Space series will recall Chasm City which was centered on the Yellowstone system. In that tale, surrounding the planet was a mass of space detritus known as the Rust Belt. Its state was the result of an undefined prior event known as the melding plague that destroyed nearly all nanotech. In Prefect, Reynolds sets the story prior to Chasm City when the Rust Belt was at its pinnacle and known as the Glitter Band. Encompassing 10,000 discreet and sovereign habitats, Reynolds explores the diversity and evolution of human societal organization (from voluntary tyranny to demoncratic anarchy). The conjoiners as well as Silveste remnants and the shrouders also play a small role. Holding the hodge-podge together is our hero, Tom Dreyfus, a prefect who enforces the minimal rules for orderly interaction among the habitats. From what begins as a routine investigation, Dreyfus gradually peels back the onion of an ever expanding conspiracy that threatens the entire Glitter Band. Along the way, he must face, the corrupt, the gullible, the naive, and the idiotic, but he always manages to remain focused on his ultimate objective: seeing that justice is served. 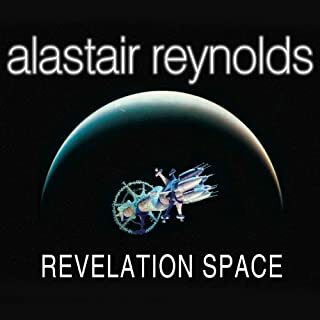 As is typical of Reynolds, the sci-fi is first rate. He also has a knack for instinctively recognizing that unique interaction of science and society and the likely results. At the heart, the tale is an exploration of the human struggle to evolve beyond mere biology with all the potential pitfalls clearly displayed. Finally, as usual John Lee performs outstandlingly; his range of voices are superb and he sets the right tenor to allow the tension to develop. OMG! Glad I gave it another try. I had previously lemmed this book twice. I kept wanting to read it out of order; being a stand-alone book I thought that would not be a problem. I would get a few chapters in and I would give up because the character strings were too complicated for me to follow. When I picked it up this time, after having read all the previous books in his Revelation Space universe, I fell into it like a fish in water. This is my favorite of all his books. This is the first of his books I am rating with 5 stars. The writing is crisp, suspenseful and as always imaginative. What an incredible ride this book was. I loved it. 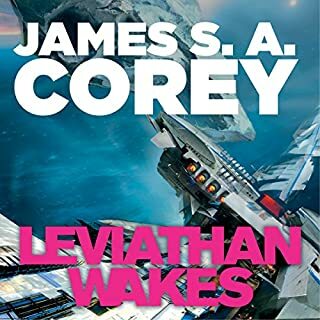 Just coincidentally, I have recently listened to three sci-fi novels that all begin as police procedurals with law-enforcement agents investigating a localized crime that expands into a much more cosmic, universal mystery - The Prefect, The Great North Road, and Leviathan Wakes. The Prefect was by far the best of the three. Not only does The Prefect benefit from Reynold's elegant, evocative writing which is a cut above most other sci-fi writers, these are some of Reynold's best characters (primary protagonists and antagonists fleshed out with great back stories), the tightly woven plot is riveting with multiple twists, and the setting, The Glitter Band, is one of the coolest concepts from Revelation Space. 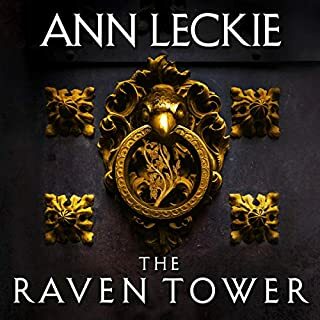 Jon Lee does a bang-up job on this book - this is one where the Reynolds-Lee combo makes for a terrific audiobook. 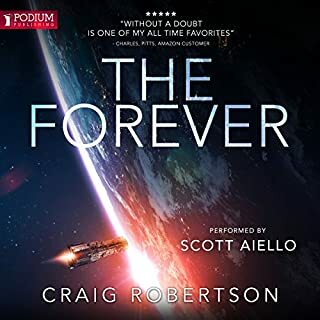 The Prefect will be an enjoyable listen for anyone who loves hard sci-fi even if you haven't read any of the Revelation Space trilogy, but if you have read the trilogy, the new stories of Philip Lascaille and Dan Sylveste in The Prefect will be extra fun. This is a fun hard sci-fi story that is also an excellent crime novel. Yes, I admit that I am a fan of sci-fi/fantasy crossover crime stories. A sucker some might say. But this story offers way more than the usual fare. I really was sorry to come to the end of the story. The Prefect presents plenty of terrific sci-fi society and sci-fi justice ideas, along with plot twists and cliff-hangers. 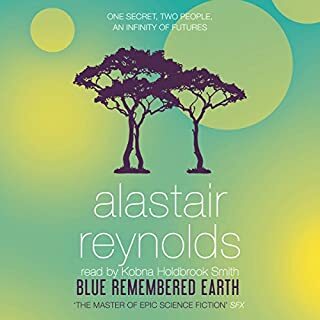 Instead of a private eye, Reynolds presents a futuristic police procedural. The story isn't set on Earth but in a loose alliance of space habitats called the Glitter Belt. Still, the main character is hard boiled and his backstory is revealed over the course of the novel. Artificial intelligences bad. Narrator John Lee may be an acquired taste to some, bringing an astonishing range of British and European accents. The Glitter Belt in the far far future isn't speaking with an American accent. This was my first Reynolds book; I'm sure it will not be my last. 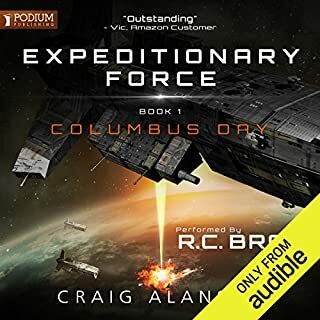 I was impressed by his ability to combine a well realized science fiction setting with the elements of a contemporary thriller while also incorporating some of the character building associated with our better mystery writers. The result was that, after a somewhat plodding opening, I was fairly riveted for the remainder of the twenty hours. I cared about the characters, even some of the minor ones; I was fascinated by the milieu, and I could relate to the impending catastrophe in a way which compelled my attention. Along the way, the author also manages to raise questions about the nature of evil and the trade offs between liberty, security and well being, and he does it with a light touch, never resorting to tiresome polemics. Happily he also never provides easy answers. Narrators are probably the aspect of Audible listening most captive to individual tastes. Many people loved John Lee's work on this book. I did not. For me, a five star narration is one which adds to the work the author has done, not only consistent with it but building upon it to add understanding and delight. Narration which is simply and artfully invisible, never drawing attention to itself but always offering clarity and accuracy, is worth four stars. Lee's flat, almost metallic tone occasionally irritated me, and I did sometimes have to wonder who was speaking--so three stars. 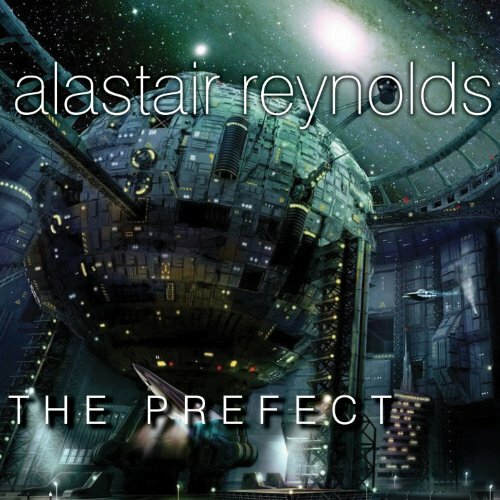 Certainly not enough to keep me from listening to another Reynolds book even if he were the narrator. A possible explanation for the melding plague? 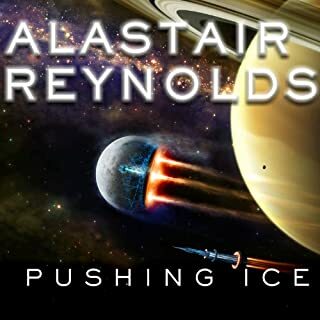 Its Alastair Reynolds, and all his stuff is great for the most part, I like the way that Dreyfus has a Hyperpig as a partner or deputy Sparver is great and from listening to the other books he reminds me of Scorpio which is cool. This is sorta a prequel to Chasm City because its before the Melding Plague, but this book was written after that book so if you like Reynolds stuff you probably already read that one - this is no problem because although this takes place before the Melding Plague its sorta a story of its own unlike the trilogy of Revelation Space, Redemption Ark, and Absolution Gap this book like Chasm City was a story that's just in the same universe as them, and Chasm City is the name of the city on the Planet or Moon named Yellowstone that the Glitter Band (latter re-named the rust belt) orbits a large gas giant with 10,000+ habitats. The 10,000+ habitats are all self sufficient but all vote and that voting is policed by Panoply but they only insure fare voting, they dont care what else goes on inside the habitats - some are VT's or "Voluntarily Tyranny" where people actually want to be controlled, mostly this goes bad and there is nothing that can be done about it. The good thing about this is that there are some technologies that are talked about in the other books but arent used anymore because of the Melding Plague, which is nice to see them used. John Lee does a good job as usual but he really only has about 3-5 voices and mostly uses 2-3 of them at most - you have to get over this because its hard to follow because at times you can forget who is talking but thats OK because you figure it out pretty fast. 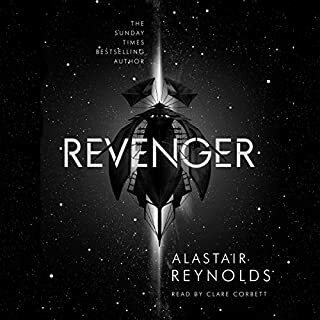 The end IMO hints at a possible explanation to the Melding Plague that is a large part of the other 4 books set in the universe, the Clockmaker and Aurora fighting it out, maybe after a time they combine forces and unwittingly create the Melding Plague? 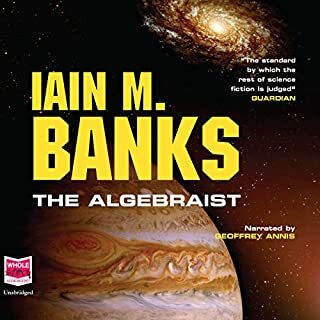 This is one of my favorite stories, and the audiobook version is fantastic. What a great trip to a new universe, to a totally new world that is so beautifully brought to life! And the story can really stand up to the crazy environment it unfolds in... I found it gripping and was drawn in. I was really sad when it ended! I have read a few books from Reynolds several years ago, and I did like them. I was satisfied with The Prefect too. Actually, more than satisfied, I liked it very much. Being a scifi fan, I always enjoy good science fiction stories. The Prefect is one of those which feels real. It happens in the future, in a far galaxy. The people use technology we just dream about today. There are futuristic habitats, which are members of an utopian democracy. But in spite of these, the story feels like it really happens. Reynolds makes the it so. 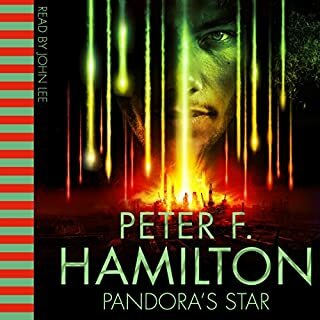 I listened to the audiobook version, and I can recommend it if you want a good book. Good characters, good world building, decent mystery and drama. Pacing was off in parts. Overall a very good book. Reynolds is a master, and this is one of his strongest efforts yet. The voice performance is absolutely top notch as well. This tells a story involving 100,000,000 people and still feels down to earth and human, and has a beautiful touch of noir mystery to it. Whether you know the rest of the series or not, this book stands alone and I can't recommend it enough. I was charmed and enthralled by the imaginative scope of this novel, the poor review I had read almost put me off, I am so glad it didn't! Great story, well drawn together at the end , with the hint of a sequel, perhaps? Is this what irked the negative reviewer? The characters lived for me and reflected weaknesses and strengths, making the dilemmas resonate for me. Not a 5 , but a worthy 4. A.R. keeps writing these excellent books with very imaginative storylines which enables the reader to conjure up fantastic images of the characters and vistas used in his stories. Keep them coming Alastair. First the performance: I've listened to a bunch of books narrated by John Lee. I don't like him. I don't like his clipped style, and the way every sentence has the same intonation. When I come to a John Lee book from a better performer I always find him intensely irritating for about 2 hours or so. However, inevitably I do get used to him. Eventually he stops being distracting, so he's far from the worst. 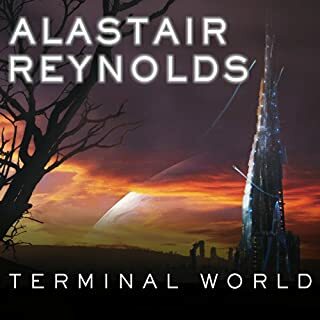 As for the book, I've listen to all the rest of the other books set in this universe and enjoyed them, although I completely agree that Alastair Reynolds can't write endings. Well, couldn't: this book comes to a definite resolution. The ending is ok. Compared to his other books, though, the meat of the book is weak. The plot unfolds linearly, and relies in many places on supposedly professional people inexplicably failing to make obvious decisions, which then turn out ok due to Deus ex Machina. For example, when the chief protagonist baulks at an extremely tough decision because of the ethical implications, I was left feeling he was an obstructionist idiot rather than a moral crusader. Of course it works out for him in the end, but via a mechanism which didn't exist at the time of the original decision. Panoply is supposed to be a civilisation-spanning government/police force. The image I was left with was of a parish council. 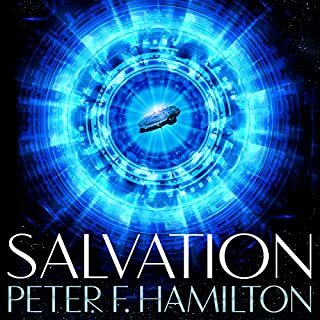 All in all this book is more like a Peter F Hamilton than previous Alastair Reynolds. Plenty of sci-fi action to keep you interested and listening, but weak plot and characterisation. This is Reynolds at his absolute best. 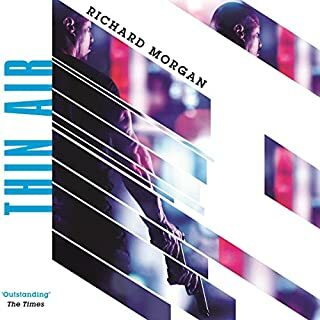 Fast paced, tense and with all the usual slightly disturbing Reynolds imagination. Although it's set before the Redemption Ark and Chasm City books, you'll enjoy it all the more if you've already read (or listened to) those earlier books. John Lee is flawless, as usual. 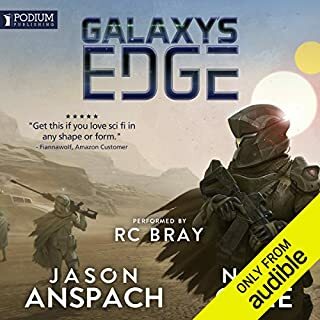 First audio book experience! It was... fine. 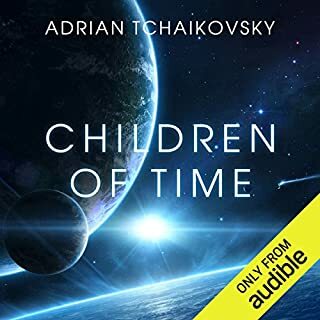 As this is my first audiobook, I'm not sure how much of this relates to the format and how much the piece. 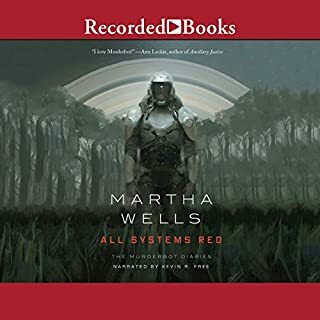 Having read most of the Revelation Space novels, I was pretty at home with the world and the tech, but I found that, in audio form, I was much more aware of the shortcomings in the writing. Some of the dialogue felt clunky, expository and jargon-y. The characters were cartoonish and the plotting transparent but overcomplicated, like a poorly executed conjuring trick. The narration itself was somewhat alienating, again I am not sure if this achieved better elsewhere, but the character voices were silly and distracting. In the general narration, whilst I appreciate clarity and diction, there is an unnatural pomposity to some of the actorly expressions of this - people say "wip" NOT "Hwip" - and on occasion it felt like the narration was done by Stephen Toast. All that being said, I finished it in relatively short order and without undue masochism. What would have made The Prefect better? Some of the characters felt really one dimensional and many events throughout the story felt "convenient." Some characters were a little bit too unrealistic...and part of the plot is regurgitated from a previous story.... Parts of the story area really great but overall I think it's let down by certain scenes. 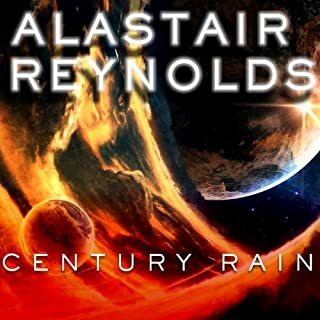 What could Alastair Reynolds have done to make this a more enjoyable book for you? What does John Lee bring to the story that you wouldn’t experience if you had only read the book? If you could play editor, what scene or scenes would you have cut from The Prefect? I was reticent at first but Mr Reynolds conjures up a good story in a familiar universe. Intense, powerful and nerve wracking, one of Alastair's best. Took me on a journey I will never forget. Easily lost interest not engaging in any way total waste of credits only good thing zi fell asleep quicker.